Museum of the Medici family and of Florentine craftsmanship, the Silver Museum (Museo degli Argenti) is often also called “Medici Treasury”. It houses one of the most varied and interesting collections of the city of Florence, a witness of the sophistication and modernity of the production, as well as of the artistic sensibility, in Renaissance Florence. The Silver Museum owes its name to the “treasure of Salzburg“, brought to Florence by Ferdinand III of Lorraine in 1815. The museum is located on the first floor and on the mezzanine floor of the historic Palazzo Pitti, in the premises of the Summer Apartments of the Medici family, which are accessible from the Buontalenti courtyard. Many of the museum’s rooms are richly painted and decorated, and the chapel is adorned with jewels and religious masterpieces of great value. From the windows of the rooms you can admire the beautiful Boboli Gardens (Giardini di Boboli) and the inner courtyard by Bartolomeo Ammannati. The collections include cameos, ivory, crystal, silver, jewelry, Chinese and Japanese porcelain, contemporary jewelery, miniature portraits. 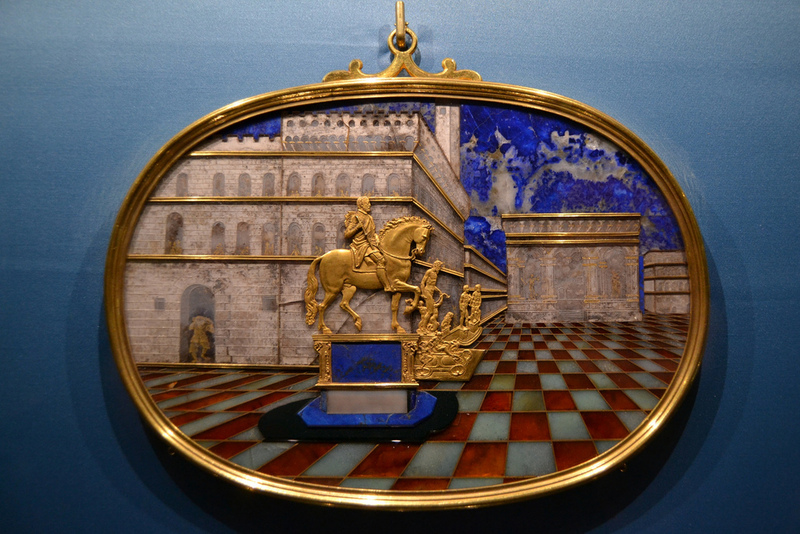 Some of the rooms house the oldest collections belonged to Lorenzo the Magnificent, that include cameos, gold, crystals, objects decorated with semiprecious stones, and chinoiserie, all works of high and refined craftsmanship. The ticket also allows entry to the Porcelain Museum, the Boboli Gardens, the Museum of Costume and the Bardini Gardens.